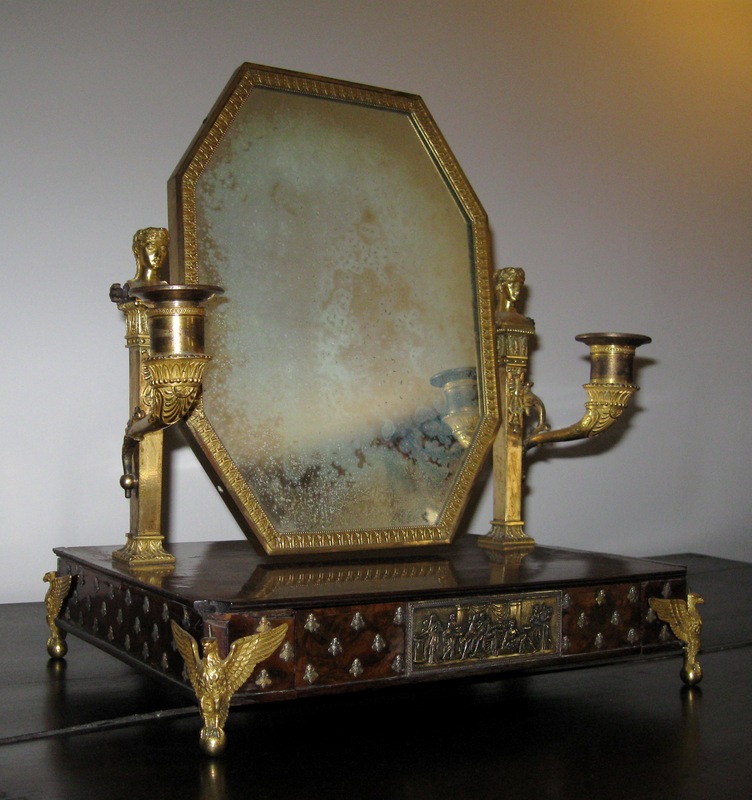 This dressing mirror, or toilette de lit, was commissioned by Napoleon for his second wife, Princess Marie Louise of Austria-Hungary, to celebrate their wedding in 1810. Made by Martin Guillame-Biennais, First Goldsmith to the Emperor, the piece is awash with imperial symbolism and features a depiction of the Aldobrandini Wedding by engraver Augustin Dupré. It was likely purchased by John Jay II and his wife Ella while in Austria-Hungary during his Ambassadorship.